The Obama Administration has decided a law giving the federal government authority over the “navigable waterways” of the United States also means the federal government can regulate ponds on private land. President Obama’s Treasury Department not only used a regulation to force American banks to put foreign law above American law, it also dealt with the unworkability of FATCA by creating an intergovernmental agreement mechanism that isn’t even mentioned in the law. And don’t forget, regardless of what you think about immigration, the President also unilaterally decided to grant amnesty to millions of illegal aliens. And that issue served as a springboard for a discussion with Fox News about a possible White House scheme to unilaterally impose big tax hikes on the business sector. I’m surprised that I didn’t splutter with outrage during the interview. You don’t need to be a constitutional scholar, or even a lawyer, to be able to read Article 1, Section 7, of the Constitution. And while Obama may not have a problem with the notion of America becoming a banana republic, we actually have co-equal branches of government, each with specific roles and powers. 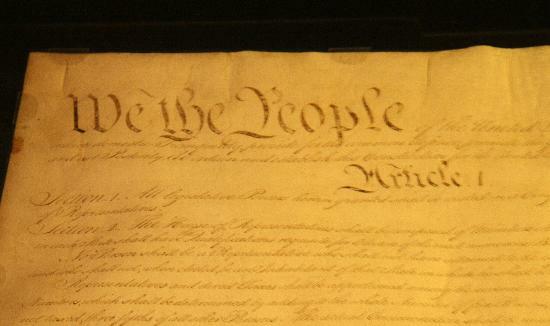 Here’s the relevant text from the Constitution, as contained in the official repository at the National Archives. All Bills for raising Revenue shall originate in the House of Representatives; but the Senate may propose or concur with Amendments as on other Bills. Every Bill which shall have passed the House of Representatives and the Senate, shall, before it become a Law, be presented to the President of the United States. Though I imagine Ruth Bader Ginsburg could rationalize that such hidden clauses actually exist. For additional background, here’s some of what The Hill has reported. The Obama administration is not ruling out using executive powers to also address the tax code. With Senate Democrats openly pushing the administration to take its own action on the tax front, the White House is not shooting down the idea. …Earnest noted that the president has told lawmakers what he is interested in on taxes — closing loopholes for the wealthy and corporations… Earnest said he was not “ruling anything in or out,” when it came to specific executive steps. “This is related to the president’s ability to use his executive authority to do what he thinks is the right thing for the country,” he said. By the way, my opposition to unilateral changes is based on principle. So I’d be opposed even if a pro-freedom President wanted to suspend bad parts of the tax code or use “prosecutorial discretion” to provide de facto amnesty to taxpayers who refused to comply with an immoral part of the tax code, such as the death tax. 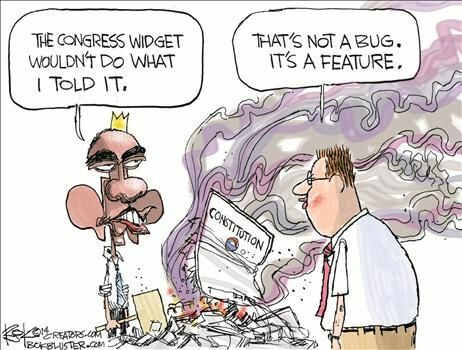 Though you won’t be surprised to learn that Obama isn’t contemplating any good unilateral changes. Instead, the policies being examined would exacerbate double taxation and extend worldwide taxation. So we may get the worst of all worlds. Unilateral action on taxes that makes a mockery of our Constitution and rule of law while also making an already terrible business tax system even worse. P.S. The United States only ranks #19 in an international comparison of what nations do a good job of upholding the rule of law. Makes you wonder where we’ll rank by the time Obama leaves office.